I have some exciting news ladies!! 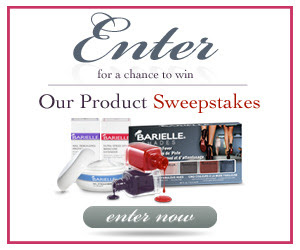 Barielle is hosting a Facebook Sweepstakes starting at 3pm today. Ten random winners will be selected for a prize package worth over $100.00. All you have to do is like the Facebook page, and enter the Sweepstakes (clicking the image above will take you directly to the sweepstake page)!